Living in snowy ambiance is a unique and enthusiastic experience for people residing in plains. Thus they like to take escape at hill stations during blistering summer season. Cool environment with pleasant climate and enjoyable facilities is what travelers look for spending holidays. Jammu & Kashmir as a prominent tourist destination offers variety of destination. They are enriched with flurry of lodging proficiencies which takes enthusiasm to the utmost. To maneuver travelers with excellent hospitality and amenities, there are number of staying options located across the state. Here we have mentioned some of the places that provide excellent accommodations along with plethora of services in this state. 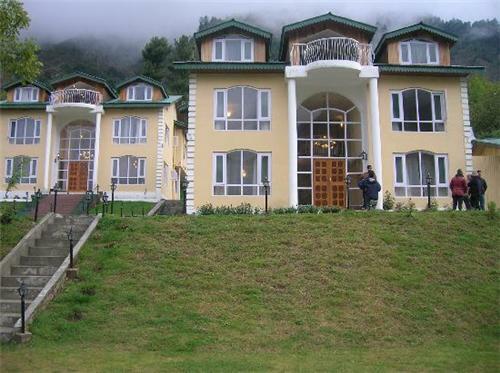 With well framed 85 rooms, The Khyber Himalayan Resort & Spa is one of the spectacular places for spending vacations. View of clear blue sky, snow capped mountains, deodar trees sprinkled with white snow, and soil with white carpet from the resort fills every visitor with significant enthusiasm. Laid in the majestic landscape of Himalayas, the resort offers sizzling environment around the year to the tourists. Its recreational facilities such as skiing, riding, trekking, spa, and indoor activities steal the hearts of visitors. Cottages and rooms are well decorated in typical cozy style to endeavor comfort and luxury at a same time. Famous picnic spots and attractions are found in the vicinity of this resort. It is situated 65 km away from Srinagar airport which is easily approachable through 90 minutes drive from there. Jamal Resort is one of the premier names in the field of hospitality of Jammu Kashmir. The resort is laid down in the serene of Kashmir valley offering exclusive accommodation facilities to travelers around Srinagar. Profoundly known as high class stays, it is deployed with legendary suits and executive rooms to maintain the standards of 4 star hotels. They offer exotic services like in house dining, lush garden, banquet hall, children’s park, hangouts, etc. Jehlum Resort is one of the finest places to stay in Jammu. It is infused with significant amenities and luxury to experience world class proficiencies at this venue. Jammu is one of the prime places of tourism. Jehlum Resort, an initiative of Grand Mumtaz Group has been established as distinct place for the travelers of Jammu Kashmir. Multi cuisine restaurant, liquor bar, recreational facilities, and lavish interior offers magnificent stay in the holy city of Jammu. It is proximal to Jammu airport and stroll away from railway station. Raghunath mandir, Bahu fort, Amar Mahal palace, and Mubarak Mandi Palace are easy to approach from Jehlum Resort in Jammu. Today, people are more attracted towards initiatives that are eco friendly and natural. So, incepting this concept, Hotel Uley Eco Resort is one of the best nature compatible resorts in Leh. Though it is located 70 kms from airport and bus station, it is well connected via modern tele communication line to rest of the world. The resort is settled with 70 well appointed rooms along with luxurious tents for camping and other adventurist activities. Its large range of accommodations give space to all travelers arriving in this region. 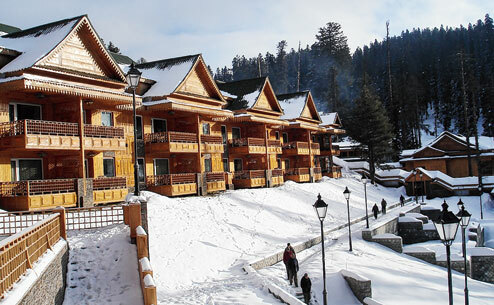 Pine Palace Resort is one of the superb locations to spend your holidays in Jammu Kashmir. Situated in midst of nature, it offers best quality services to Indian and international travelers. Skiing, stroll walking, and experiencing cozy ambiance in Pine Palace Resort are few of premium activities at this resort. Visitors can enjoys world’s highest Golconda ride, long run skiing, breathtaking views, and trekking down the snow in the region of Gulmarg. It is mere 50 km from capital town Srinagar and reachable through cabs. Srinagar is one of the highlighted tourist destinations worldwide. It is also termed as heaven on earth. Therefore, footfalls at this place are much higher than any other destination of Jammu & Kashmir. In this context, Hotel Nigeen Resort has been established to provide exotic stay away facilities in Srinagar. The resort facilitates visitors with recreational amenities, hot and cold water, room heaters and games to rejoice their experience of living in the valley. Ahmed’s Rasoi is one of the key highlights of Hotel Nigeen Resort. Kashmiri, Indian Vegan, and Chinese food can be tasted at this restaurant. Chinar garden and Hazratbal shrine are located just half kilometer away from resort. Nigeen Lake is also beautiful place to visit near this resort. Dal View Resort is especially designed and maneuvered for corporate and international travelers coming for admiring nature’s bounty. It is enabled with 12 well planned executive rooms to accommodate business travelers as well as tourists from all around the world. Dal View Resort is initiated besides the wonderful Dal Lake allowing its picturesque view at any point of time. Its extended services include hot water, direct calling, power backup, medical help, currency exchange, and room service. The resort is situated 9 km away from Srinagar International airport while bus station is just 3 km away from here. Guests can enjoy world famous shikara rides any time while staying at Dal Lake View Resort in Srinagar. Pahalgam is known as romantic destination in Jammu Kashmir and so is the Hotel Highland Resort. It is beautifully planted resort in the midst of nature with comfortable accommodations and high end facilities. Accommodations at Hotel Highland Resort are decorated with plush interior along with luxurious proficiencies to make living more delightful. Activities like leisure walk, river rafting, trekking, and recreational facilities are offered here to their premium guests. Pahalgam is remarkable tourist destination in Jammu Kashmir. It is well known for its stunning sightseeing and breathtaking views. Forest Hill Resort is one of the magnificent places of rejoice and harmony. Visitors experience tranquility along with luxury stay at Pahalgam. This region is popular for plethora of views. From its hill resorts, people can see breathtaking spectacles of Kashmir valley. Lush green ambiance along with unpolluted environment makes every visitor, an avid admirer of this place. Sonamarg is in itself a natural paradise that offers beautiful views and enthusiastic activities. Paradise Camping Resort is located on the out skirts of Sonmarg on sides of flowing stream at the distance of 96 km. This is the unique stay option that offers mesmerizing location, tent accommodations, and latest amenities. Apart from these, their tour packages also include exclusive ride to Amarnath Caves by helicopter and ponny or palkee rides as well. It is perfect location for adventurists and nature enthusiasts who always prefer staying close to nature. River rafting, mountaineering, skiing, fishing, trekking, and golfing can be easily enjoyed while staying at Paradise Camping Resort. Valley View Resort is wonderful resort located beneath the soaring mountain ranges of Himalayas depicting the mesmerizing view of valley. This resort offers complete relaxation and people feel close to nature while accommodating here. They are offering latest facilities, modern amenities and lush ambiance. It is situated in the region of Laripora in Pahalgam which is easily approachable through road transportation. Namrose Resort offers wonderful stay in the valley of Kashmir. It is surrounded by high rising mountains besides the small stream of water in Sonamarg. In winter, snow covered mountains displays the outstanding sight of valley. People having enthusiasm about trekking, skiing, camping and other such adventurist activities must prefer accommodations at Namrose Resort. Kolhai Glacier and Machoi Glacier are placed in the vicinity of Sonamarg. Amarnath peak and Sirbal peak are also wonderful places situated near this resort. Namrose Resort is located on the main highways of Kargil - Skardu Road. Hence, it is easily approachable as well. Gulmarg is one of the scenic town of Jammu & Kashmir. Travelers visiting here are greeted with pristine beauty and impeccable services at Gulmarg Resorts. This resort is accomplished with modern amenities like barber and masseur service, doctor on call, camp fire, trek arrangements, multi cuisine food, and taxi services. It is located at just 5 minutes distance from famous Gulmarg Gondola rides. Snow clad mountains allures every tourist. At Paristaan Resort, visitors feel quite enthusiastic. They get rejoiced by watching wonderful spectacles of valley and its breathtaking views. Betaab valley and other picnic spots are easy to trace from here. Visitors can take adventure trekking tour as well as Amarnath tour package from this resort. Along with tranquil climate, the resort offers luxury of comfort and latest amenities as well. Ladakh is untouched tourist destinations of India. It is also considered as eco tourism of the country. Travelers visiting this region desire to stay at homely atmosphere with luxury of facilities. The coziness of ambiance and tranquility can easily be found in this eco resort of Leh called as Ladakh Sarai. It is situated amidst of nature from where city of Leh is 7 km away while other tourist destinations are also easily getable. Accommodations are provided in form of small huts with all facilities, lush green lawn, tree plantation, recreational facilities and adventure games. Dining in local style is one of the key highlights of Ladakh Sarai Resort. Airport is 3 km and bus station is only 1.5 km away from this resort. Leh and Ladakh always have been the outstanding tourism places on the map of India. Cold Desert Camp enhances the joy and enthusiasm of holidays spent by visitors by offering cheap as well as adventurist way of accommodations. Camping experience at this place creates an altogether magnificent memory for guests coming here. Comfortable bedding along with warm camps and flurry of camping features makes this place attractive for visitors. Located in the region of Hunder Nubra, it is top choice for adventurists and trekkers. Added with restaurant facility, it is spread over the wide area of 5.6 acres across the river Shyok. Zanskar Range is another wonderful place located in the region of Leh. Saboo resort is excellent place to live in the region of Leh-Ladakh if someone is looking for natural and rejuvenating accommodations. 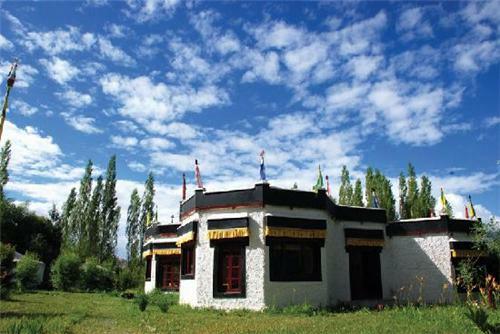 Located at the distance of 7 km from main town, it is somewhat situated amid the untouched natural environ of Ladakh. People visiting this resort can have glimpses of Ladakhi culture, heritage, food, and traditions in the resort itself. It is altogether an identical experience for guests visiting this place of tourism. 16 cottages and 13 suites are well created to give comfort and luxury to guests coming here. Hotel Pratap Resort is an outstanding option for those who are looking for cheap options with the luxury of resort and recreational facilities. It is located on the beautiful location of Katra well planned to accommodate pilgrims coming here. It offers absolute relaxation and unwinding facilities to people after they complete hard journey to shrine. Apart from being in lap of nature, it offers in house restaurant, laundry, and 24 hour service. Located in the vicinity of main town, Bali resorts in Katra is one of the stunning home stays in the region of Jammu Kashmir. It is placed in Katra, from where airport of Jammu is nearly 48 km away. However, newly launched railway station in Katra has dismissed this distance to quite huge extent. This resort has been furnished with beautiful garden, enjoyable games, and refreshing entertaining stuffs. It offers quite wonderful place to people coming for pilgrimage visit or tourism. Travelers, those who are looking for convenient boarding and exit from Srinagar should opt for Mirani Resort for accommodations. This Resort is one of the fantastic locations blessed with natural beauty and significant services. Though it is nearer to airport, the attractions like Dal Lake are found at the distance of 8 kms. It displays the magnificent views of valleys in its surroundings along with landscaped natural ambiance for complete relaxation. Situated in the midst of nature, KK Resorts is one of the wonderful places of hospitality in Jammu. It is located on the northern side of city and easy to locate through highway. Its wide spread out area along with multiple choices of accommodation and re-energizing recreational facilities makes this resort identical among its peer. Its unmatched beauty, mesmerizing ambiance and lavish amenities increases the satisfaction of visitors. Its five acre landscaped venue includes well versed three banquets, dining hall, parking facility, and conference hall. 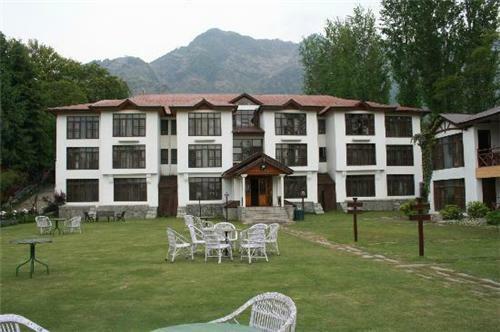 Our list also includes Heevan resort in Srinagar. 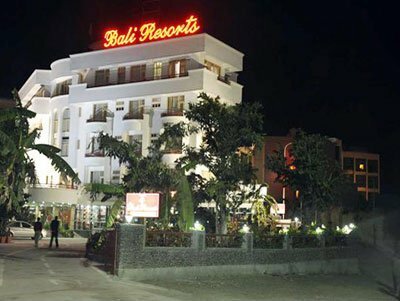 It is 4 -star rated resort established with excellent amenities and facilities to greet travelers in this part. Dal Lake is one of the prime attractions which are located just adjacent to it. Apart, it gives marvelous access to Golf Course, Shalimar Garden, and other tourist attractions. It is situated approximately 12 km from Srinagar Airport and 14 km from Srinagar railway station. Typical Ladakh style of living can be experienced at the beautifully placed accommodation, Lharisa Resorts. 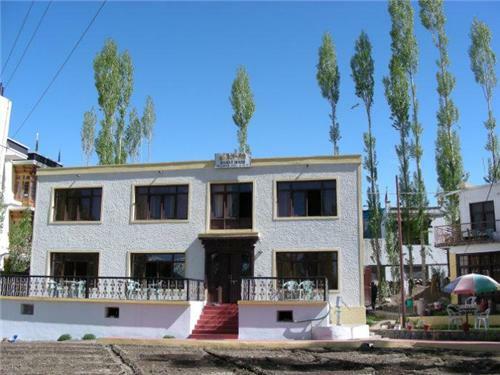 Located 3 km from airport and 1.5 km from bus station, it is one of the preferred places to stay in the region of Leh. This resort offers absolute comfort by including 20 well established rooms and number of amenities to lure guests coming for vacations. Leh is cold place, so heated rooms, hot water, proper cushion of bedding, and bonfire arrangements are done for the guests. Unique Ladakhi food along with Chinese and Indian food is added to its highlighted features. Sia-la Guest House is one of the well known names in the affordable accommodation options offered by the hospitality industry of Ladakh. It is recommended place to stay in this region for travelers looking for budget accommodations. Spread out area along with eco friendly features makes this place prominent choice for travelers from around the world. Influence of Ladakhi culture is easily seen through their establishment and traditions in their hospitality. It is placed off the Old Leh Road and is hardly one kilometer away from Main Market. 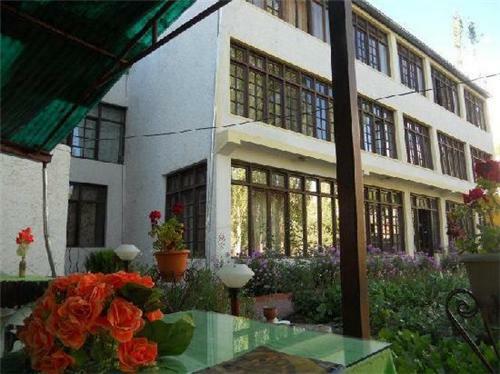 Budget travelers may accommodate at Oriental Guest House in Leh. It is conveniently placed in the serene of Ladakh to facilitate low cost accommodations to tourists coming here. The hospitality of Oriental Guest house does not end at rooms, but they also help you to plan the proper trip and arrange for all requirements as well. This guest house offers rooms with rates starting from Rs. 250 to make it affordable for any traveler. Trek to Markha Valley or Alchi Trek via Tar la can be managed while staying at Oriental Guest House. Tibetan herbs of Himalayas found in the region of Leh - Ladakh are quite famous in natural treatments. But it is difficult to find genuine and effective remedy. Smanla Guest House comes with unique feature of providing significant Tibetan treatment and herbs with the help of its owner, Tsewang Smanla. He is qualified Tibetan medicine doctor and offering his practice for people arriving in this guest house. Besides giving perfect stay and amenities, they also offer arrangements of trekking and camping in the valleys of Leh Ladakh. Attractions such as Shanti Stupa in Chanspa is situated just few steps away from here. Asia Guest house is beautifully established accommodation incepted in the premises of Hotel Asia. It has been found with 11 well equipped rooms along with competitive facilities. Situated in the main Changspa region of Leh, it is one of the prominent places to stay for all kinds of travelers. Facilitated with restaurant, attractive garden, dotted trees, and awesome amenities, Asia Guest House is highlighted location for foreign travelers as well. Main market places and key attractions can easily locate from Asia Guest House. In the Foot hills of Devachan, this is a pleasant and tranquil place established in the name of Mahabodhi Global Family Home for tourists arriving in this area. The main features of Mahabodhi Global Family Home are its pure vegetarian cuisines served in their restaurant and library furnished with Buddhist philosophy books. People can enjoy the low profile lifestyle along with yoga sessions and daily meditation. Its natural green ambiance adds to its flawless beauty. Raku Guest house offers 10 well designed rooms along with all key features for arrivals. This eco friendly guest house is surrounded with lush agricultural land as well as trees. 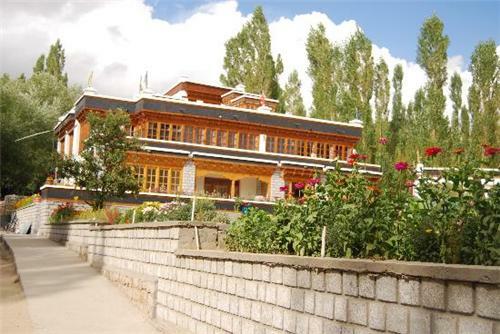 People staying here get the glimpses of Stok range and magnificent sight of Spituk Monastery. Though conditions are difficult for surviving, the guest house is well managed to give 24 hour hot water, wifi connectivity, car hire, and leisure activities around the valley. Raku Guest house is located on the upper Tukcha Road basically in the western direction of Main Market in Leh. Surrounded by deodar trees, Apple Nubra Cottages is one of the exotic places of hospitality. It has been crafted along the terrains of mountain ranges under the crystal clear sky. Established with 18 cottages or Swiss tent houses, it is an isolated accommodation with complete privacy. It is located in white dunes of Nubra region of Leh with facility of food, water, bedding and latest amenities. It is just 1 km from main bus station of Nubra and 120 km from airport at Leh. Long walks, trekking, and climbing are few of the highlighted activities offered in this region. As a distinct place of living, Dorje Guest House offers round the clock room service to their guests. Despite hard living, the guest house does not let visitors to be debarred from connectivity through telephone, news paper, wakeup service, and free parking. These accommodations offer beautiful sightseeing of Leh region along with amazing view of Stok Palace and Sanskar Gompa from here. Distance of Bakula Airport is around 5 km from here while Bus Station is just 2 km away. 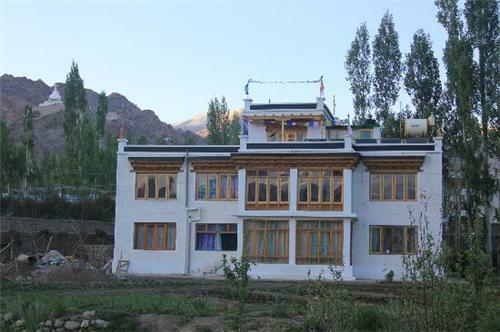 Jigmet Guest house is located at one of the lovable places of Leh on the Upper Tukcha Road. It is well planned guest house fringed by beautiful greenery and amazing sights. Since its establishment in 1980, it is one of the prominent low cost accommodations selected by travelers. Leh is best explored by foot. Jigmet Guest House offers key locations like market place, administrative office, bus station, and other such utility centers found in the proximity of venue. The interesting part is that, the guest house serves organic food and vegetables which are mostly grown in their premises. Silver Cloud Guest House has been incepted with flawless 15 rooms decorated with Ladakhi flavor. Perfectly located at stroll away distance from main center of Leh, Silver Cloud Guest house offers bounty and spotless beauty of nature. Surrounded by lush ambiance, travelers come across all comfort and luxury services in its premises. These accommodations are famous among foreign travelers. Terrace restaurant is perfect place to get panoramic view of green trees and patchy rows of flower plants which makes this place adoring and gorgeous. Dance and play which are usually performed by locals can be enjoyed at this venue. Branch of SBI is located few feet away from here, to make financial transaction easy. Situated near the Dal Lake, Rubina Guest House is one of the favorite places to stay in Srinagar. It is established with 16 well maintained rooms. It also has a dining hall having capacity of 25 paxs at a time. They offer private parking space along with laundry service, taxi service, and 24 hour room service. It is very affordable for visitors having low budget for accommodations while coming for vacations to Kashmir Valley. 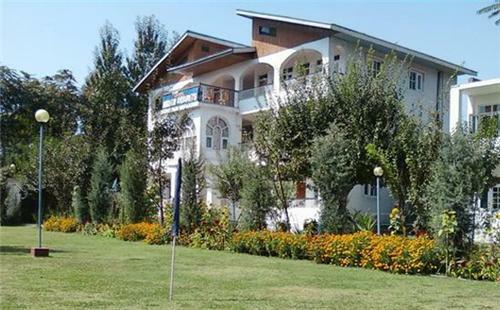 Laxmi Lodge is one of the popular locations to stay in Srinagar. It is beautifully crafted against the serene backdrop of Dal Lake. Existing since 33 years, this guest house offers tranquility and peace of mind. The main market place is just few steps away from here. As such people may find lavish Kashmiri food, local cuisines, street food, and other specialties of this region quite easily. Main attractions like Nehru Park, Shikara Ghat, and Residency rood are found in the vicinity which is easy to explore while accommodating at Laxmi Lodge. Asif Guest house is perfectly made for accommodations that suit families and group travelers. 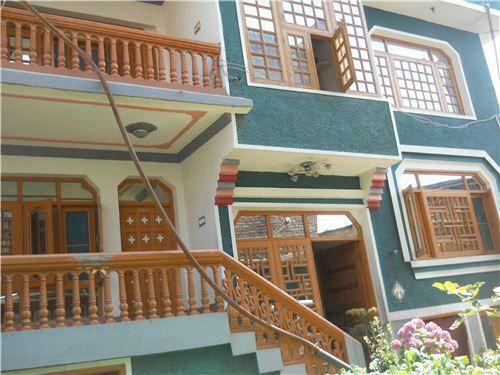 It offers quite spacious and absolute clean rooms to reside in the scenic location of Srinagar. The most significant part of Asif Guest House is that entire services are managed by its owner himself. The food quality is incredibly excellent. Kashmiri traditional food can be enjoyed while staying in Asif Guest House in Srinagar. Apart, these accommodations are offered with latest facilities of connectivity along with other modern facilities. 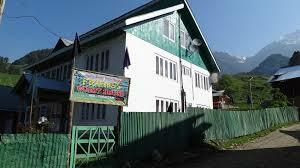 Habib Guest House is one of the popular accommodations available in the region of Srinagar. It is well equipped with latest amenities along with supportive as well as skillful staff to handle guest gently. Food and helping staff are the key features of Habib Guest House. Located in the region of Nigeen Hazrat Bal, it is quite comfortable to approach prime tourists spots of Srinagar. Shopaholic travelers can take tour of shopping centers located in the vicinity of this guest house. As one of the newest centers of hospitality, Amina Guest house has emerged as modern concept of distinct accommodation facilities in the valley of Kashmir. It comes with the feature of affordability along with comfortable stay for vacationers. It has its location in the heart of city near CRPF camp in Waniyar Chowk of Srinagar. Located in the heart of city, Charchinar Lodge is one of the excellent low cost accommodations in Jammu. It is located few meters from Raghunath Mandir and 1 km away from main bus stand. However, airport is located in outskirts and nearly 5 km from the venue. It is beautifully crafted with modern amenities and comfort to give better experience of living in premises. It is easy to reserve room here with the help of online payment facility. This assures accommodations before arriving at destination. Pahalgam is visited by many travelers due to its insightful beauty. Friends Guest House offers budget accommodations to people who prefer pocket friendly rooms to stay. Despite being one of the costly tourist destinations, Friends Guest house gives accommodations at rational rates. It is located in the serene of Aru Valley in Pahalgam which is an amazing place to see in valley. Since 25 years, they are offering comfortable rooms added with plush interior and latest facilities. Visitors can enjoy trekking, hiking, horse riding, and most amazing paragliding in this region while staying in this accommodation. Situated at the few distance from bus station, Subhash Guest house offers best and budget accommodations to devotees and travelers coming here from around the world. 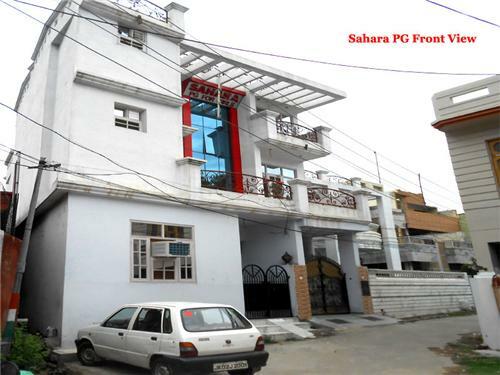 It has two identical venues, Subhash Guest House and Hotel Basera at same location. It is well versed with facilities like hot water, in house food, and telephone connectivity. The staff is very supportive to educate visitors regarding pros and cons for pilgrimage as well. Located amid the soaring mountains of Aru Valley, River Front Guest House is among the top affordable places to stay in Pahalgam. It is located 8-10 km away from the main town. Famous as valley of shepherd, Pahalgam is most desired tourist destinations in India. 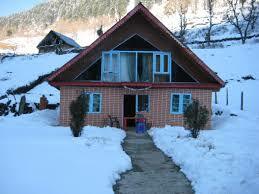 This guest house is incepted to provide pocket friendly accommodations in valley. Infused with plethora of adventurist activities and facilities, it is one of the best places to accommodate in Kashmir valley. They also provide valuable guidance for complete and safe exploration of this region. Alpine Inn Guest House is a distinguished place to stay in this region. It is a beautifully chiseled out house. 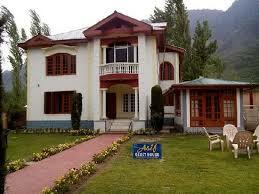 It is adjoined by majestic garden with fringed trees making the stay absolute heavenly for visitors in Pahalgam. Established in 2006, it is located on the banks of River Lidder in vicinity of Lavender Park. People can enjoy activities like horse riding, golf, mountaineering, camping and river rafting. An untouched location, Udhampur is also becoming alluring places of tourism in recent times. The flow of tourists has increased in this area due to which many accommodation facilities are incepted here. One of the sprawling places of accommodations in Udhampur is Pine Villas Guest House. This accommodation is low in cost and offers high end services. It is newly constructed structure with lots of amenities and proficiencies. Magnificent views of valley through its spread out location are one of the key features of Pine Villa Guest House. It is located just few steps away from Udhampur bus station and five hundred meters from railway station. 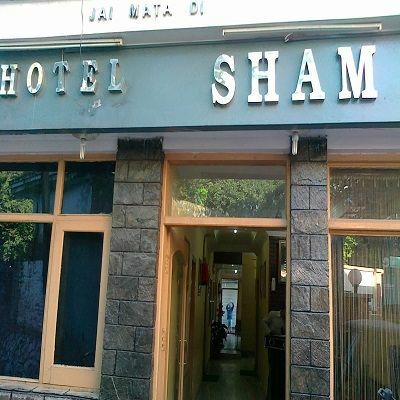 Sham Guest house is engaged in the services of hospitality since many years. It is providing budget rooms to all travelers. It is easy to locate as it is placed on the main highway just 12 km away from holy shrine of Maa Vaishno Devi. They accommodate families and group of travelers quiet easily in their spacious 4 and 6 beds room. Visitors can also have glimpses of Trikuta Parvat from hotel room. Many people arrive in the state of Jammu & Kashmir for longer stay due to jobs, studies, or any other reason. For them paying guest accommodations or hostels is the perfect way to stay in the state. These accommodations are quite reasonable and affordable in nature. Tourists have to pay on monthly basis rather than per day so it is convenient in terms of payment as well. In paying guest, people stay as guest in home and enjoy every facility like their own house. Generally food, stay, laundry, and entertainment are combined in package, so no worries about that. These accommodations are available for students, working women, and men. Jammu Kashmir is undoubtedly the paradise for travelers. For accommodations, hotels are the most sought after option in this state. As such, it boasts of numerous hotels catering to different categories of guests. These hotels range from BB and budget hotels to glitzy five star hotels. Some of the leading names of hospitality industry have established their sprawling properties in this region. These hotels offer accommodations in their rooms and suites along with plenty of amenities and impeccable services. These hotels are located across the state. But most of the leading hotels are located at major tourist spots like Srinagar, Jammu, Gulmarg, Pahalgam, Sonamarg, Katra, and Ladakh. These are the accommodation options available in magnificently beautiful state of Jammu Kashmir. Whenever you plan a visit to this state, it is advisable to book your accommodation in advance as these places are usually full of guests during peak seasons.